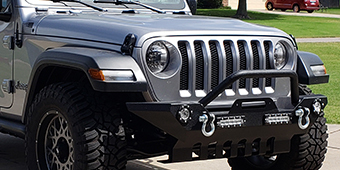 Grille guards are responsible for protecting your Jeep Wrangler JL and they are needed to ensure your machine does not take on damage. In addition to their protective factor, grille guards look amazing as well. At Extreme Terrain, we offer a wide selection of grille guards to include bull bars as well. Our grille guards allow you to mount auxiliary lighting options to them and you can provide your winch with the protection it needs too. 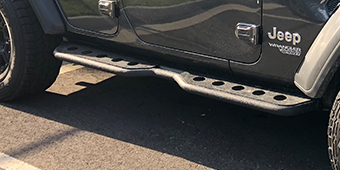 Extreme Terrain is known for carrying the best brands in grille guards to include MBRP, Rough Country, RedRock, and more. Now is the time to pick up the grille bar you desire for an affordable price.